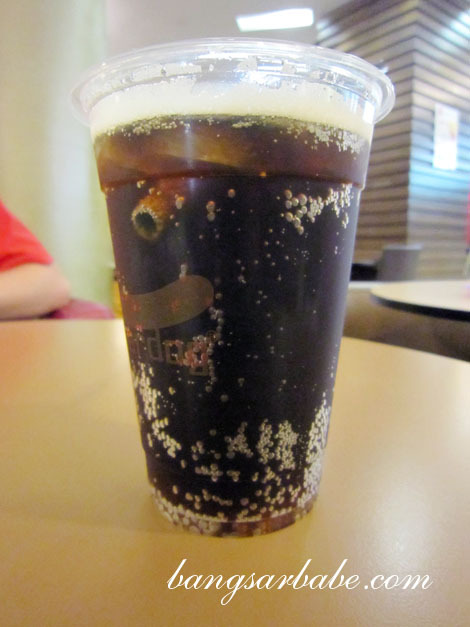 I was never a fan of it because my experiences at A&W have always been dismal. The bun is almost always soggy and the chili topping is bland. Worse, the sausage has probably more preservatives than meat. 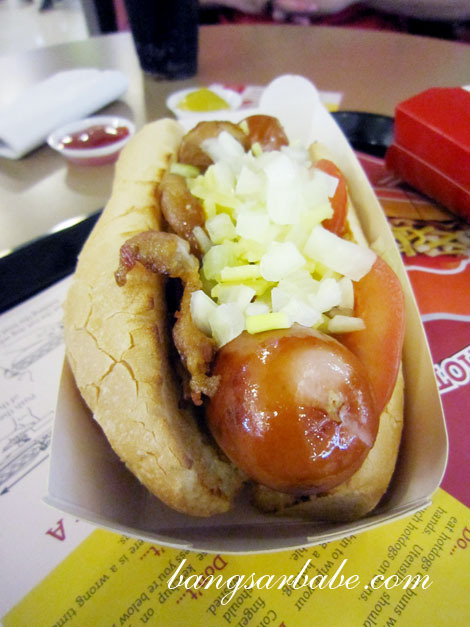 I do however like eating bratwurst and was pretty pleased with my experience at Superdog at Vivo City not too long ago. 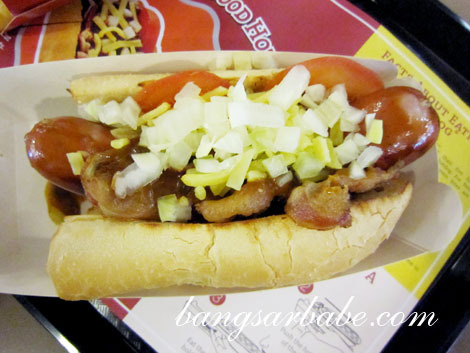 I tried the Supreme Dog (SGD9.50) – a beef and pork bratwurst sausage, hand grilled to retain flavour and juiciness. 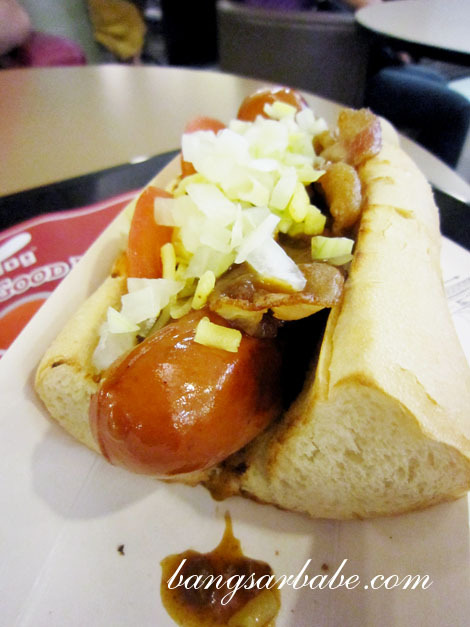 The bratwurst was sandwiched between a toasted bun and topped with chili, grilled bacon, tomato slices, chopped onions and cheese. I liked that the bun was firm, which held the bratwurst and toppings well. Greasy, yet good! The skin of bratwurst was firm and crunchy while the inside was meaty and packed a load of flavour. I liked that the chili had a good amount of beef and gave the hotdog a more satisfying bite. No wonder rif raved about this so much when he tried it. I didn’t care much for the onion rings (SGD3) as the exterior was more soft than crunchy. 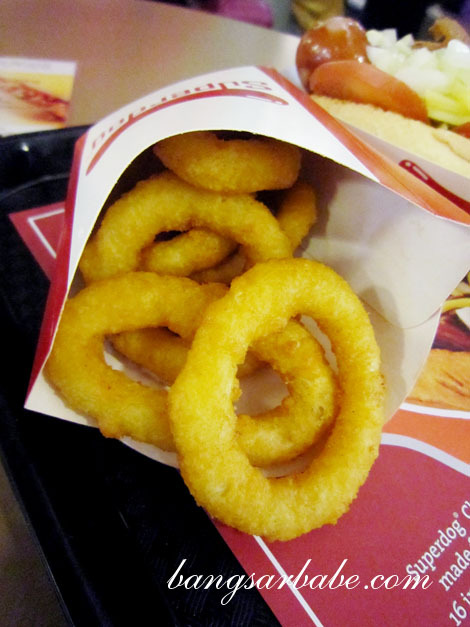 I like my onion rings crunchy. 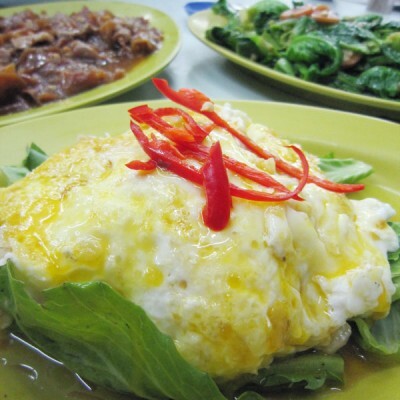 That aside, the onions were soft and fragrant – a sign that they were freshly prepared. This was better than the soggy, limp onion rings from the A&W at my workplace in KL. 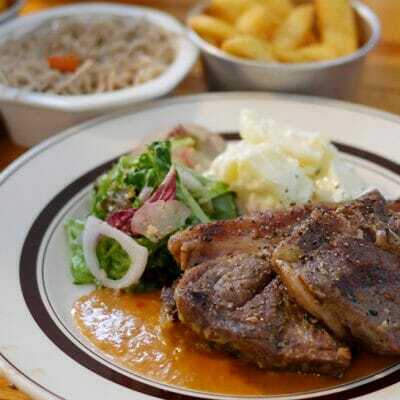 The meal was slightly pricey, but considering the quality, taste and portion, I’m willing to pay for it. Verdict: Best hotdog I’ve eaten outside Germany. 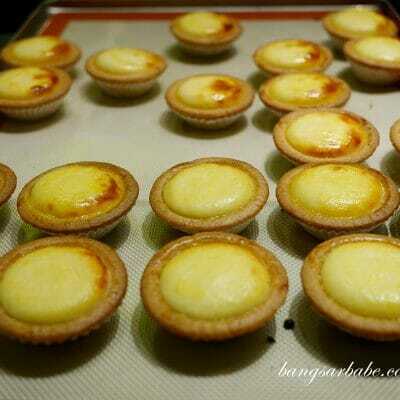 looks very delicious … if don’t convert i think the price is fair enuff.. If don’t convert, it’s cheaper than Burger King and A&W. Nicer too! Oooo…time to go there and try! 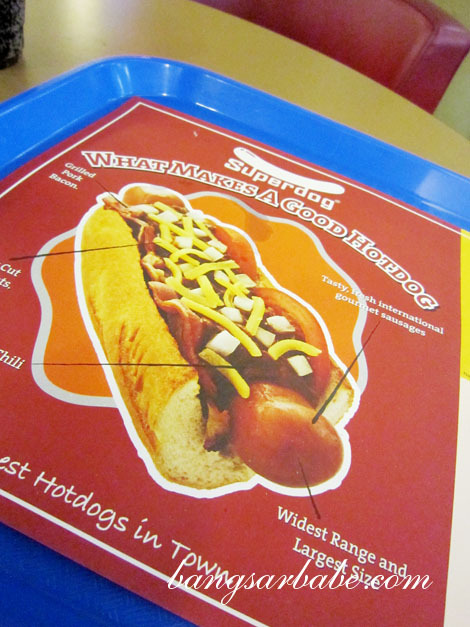 I like the guide for how to eat a superdog.